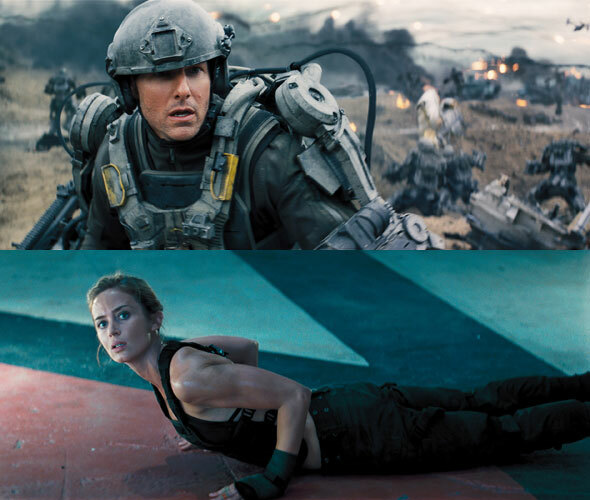 The first trailer is out for Doug Liman’s sci-fi epic “Edge of Tomorrow”. Tom Cruise stars as a soldier sent on a brutal suicide mission against an invading alien force. Killed within minutes, he finds himself inexplicably thrown into a time loop — forcing him to live out the same brutal combat over and over. The final result on film is… mixed. Like a bigger budget “Battle Los Angeles” or a graphically impressive “Halo”/”Gears of War” multiplayer battle, there’s a lot of gritty action on display but practically nothing in the way of story beyond the central time loop concept. The trailer is up at Apple Trailers. USA Today have also unveiled two new images which you can see below. The film itself is scheduled for release on June 6th.